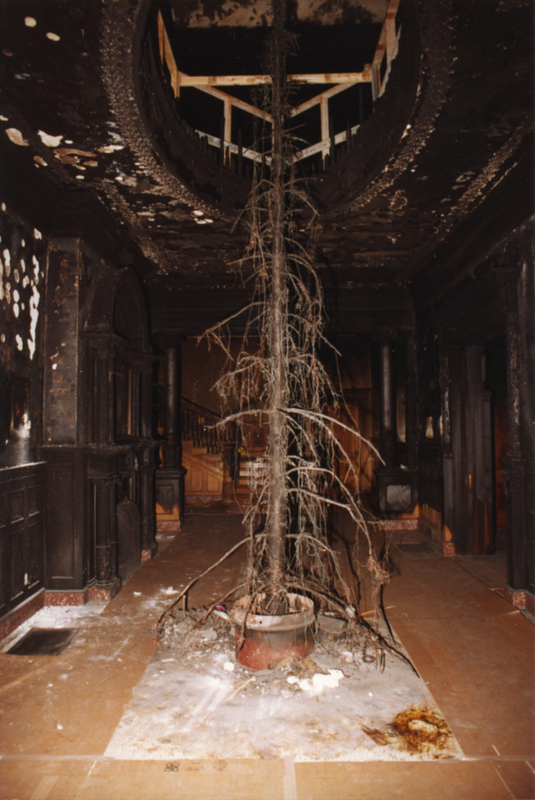 The mansion’s interior and portions of the exterior were seriously damaged by a fire in 1993. 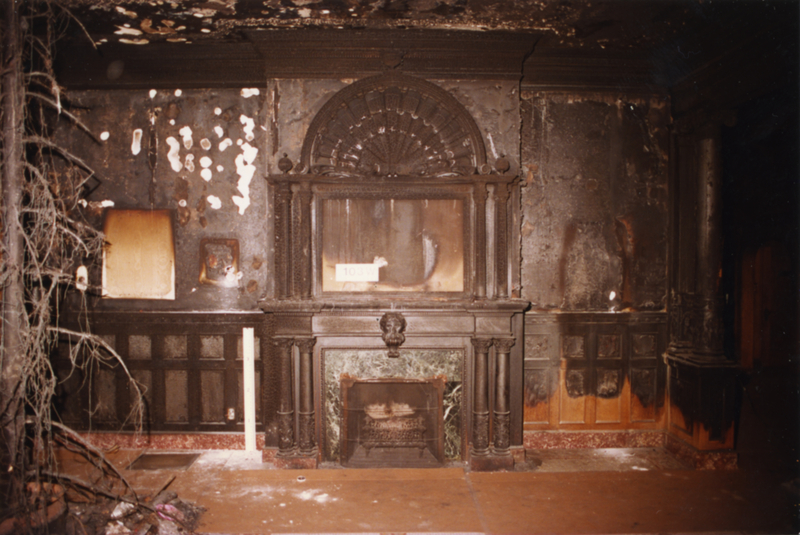 The lush turn-of-the-century Victorian interior was a charred ruin. 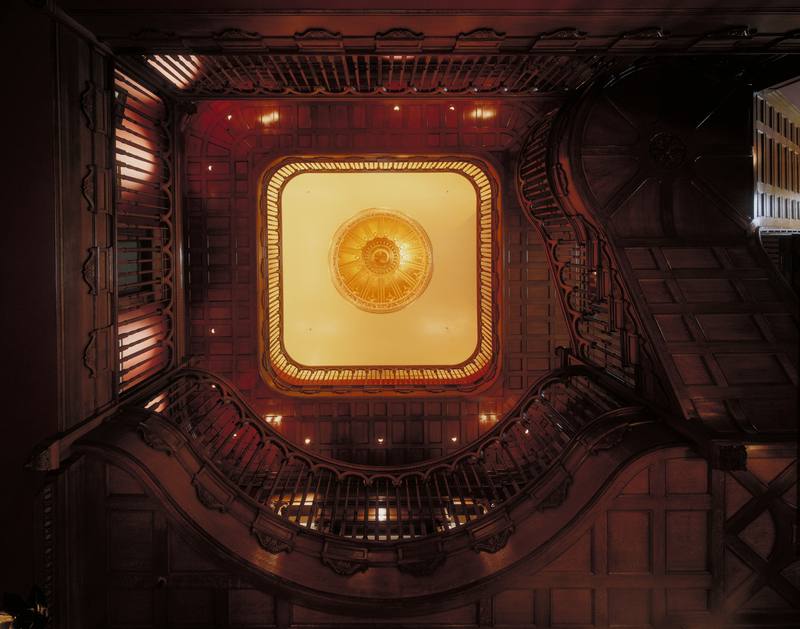 As MJSA learned from it’s David Keith Mansion experience, early intervention procedures were implemented to lessen further damage. MJSA then commenced taking the building interior apart and documenting all surfaces and elements for restoration or replication. The rich oak finishes replete with highly significant carvings were of prime importance. Many of the highly fragile pieces had to be carefully removed, treated, and stored for future replication. Other less damaged elements were removed in anticipation of restoration and highly valued original elements were restored if at all possible. Significant smoke penetration had occurred, necessitating the opening of all floor and wall cavities for smoke soot and char removal. 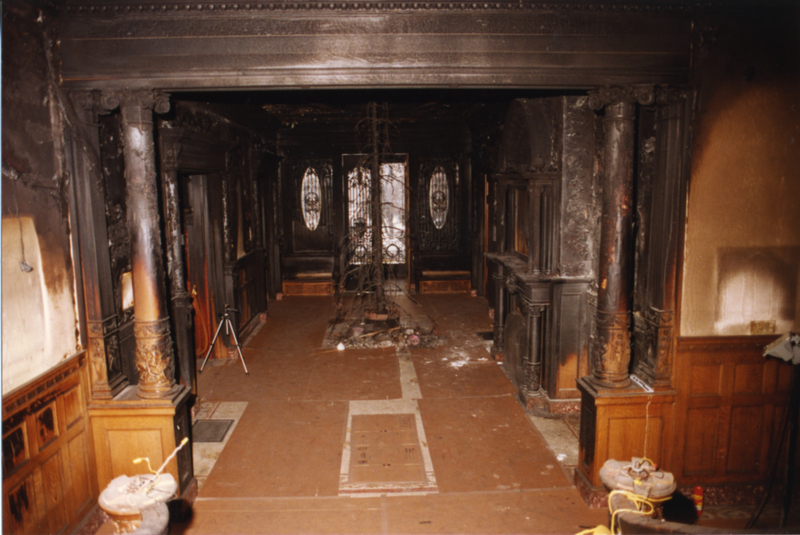 This deordorization process was largely accomplished by removing one surface of every wall, floor, and ceiling. The actual cleaning was made easier by sponge-blasting, a relatively new technique. 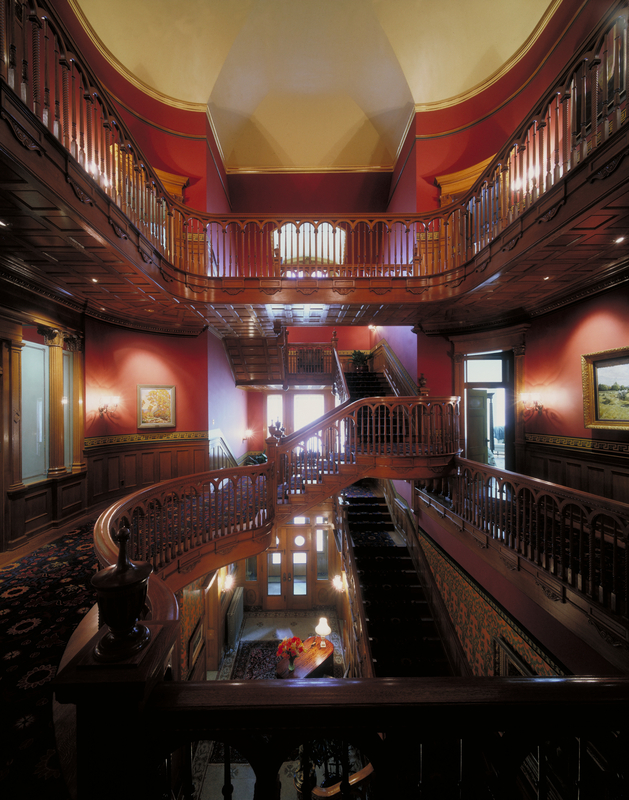 At the conclusion of this cleaning process, the mansion was in a condition appropriate for structural seismic upgrade. There was also an updating of the heating, ventilating, cooling, electrical, lighting, data, and fire suppression systems. 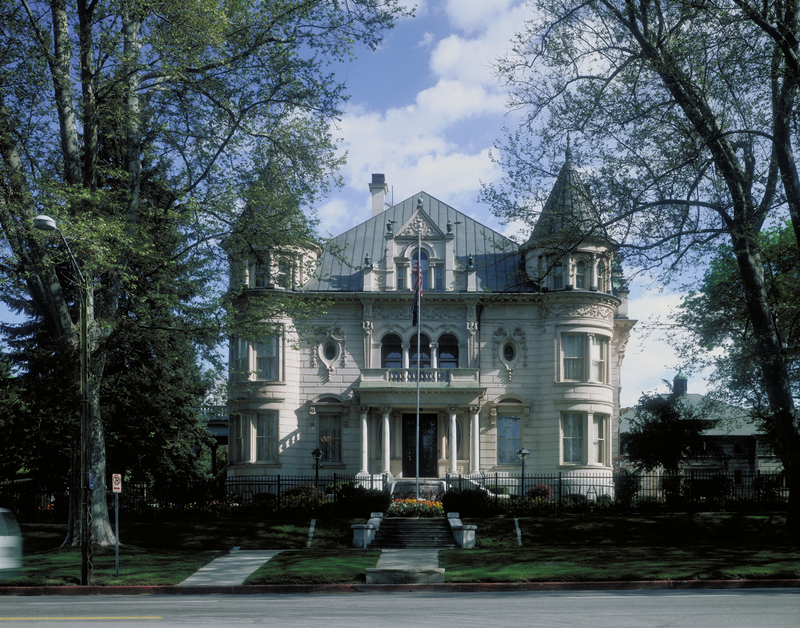 Before commencing with the reassembly of the building, designs were developed to create a private apartment within this historically semi-private mansion for the Governor and family. 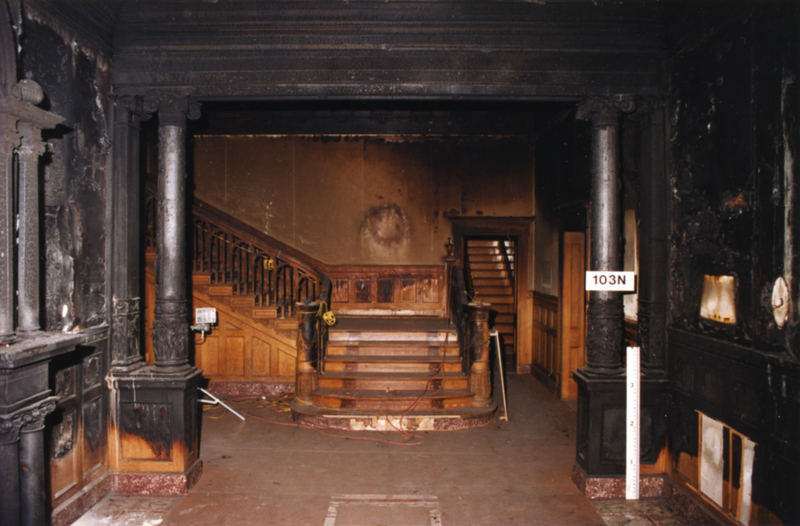 Other changes to the interior configuration were made to allow better exiting in the event of a future fire, which was accomplished without the addition of a new stair which would have negatively impacted the historic spaces. The long, exacting process of putting the mansion back together commenced at this point. Taking more than a year, this effort brought together the talents of some of the finest artisans and craftspeople in the nation. 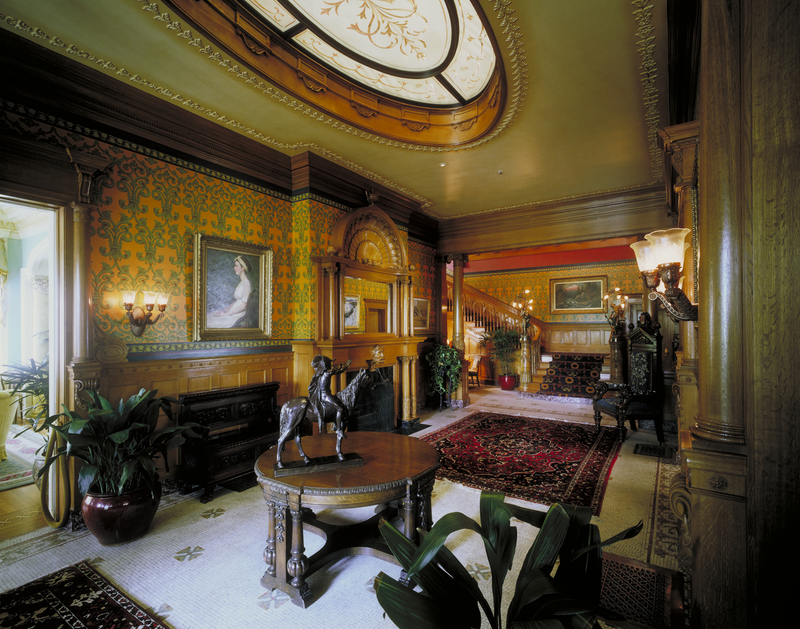 A large collection of turn-of-the-century photographs were of great assistance in re-creating the interiors true to this period – a design direction established by the Mansion Foundation.